After years of research, the eco-conscious owners of this home settled on a modest plot in West Leederville. Inspired by the family’s love for nature and community, as well as their passion for sustainable living, Solar Dwellings designed this environmentally friendly property using a range of GreenSmart and passive solar design principles. 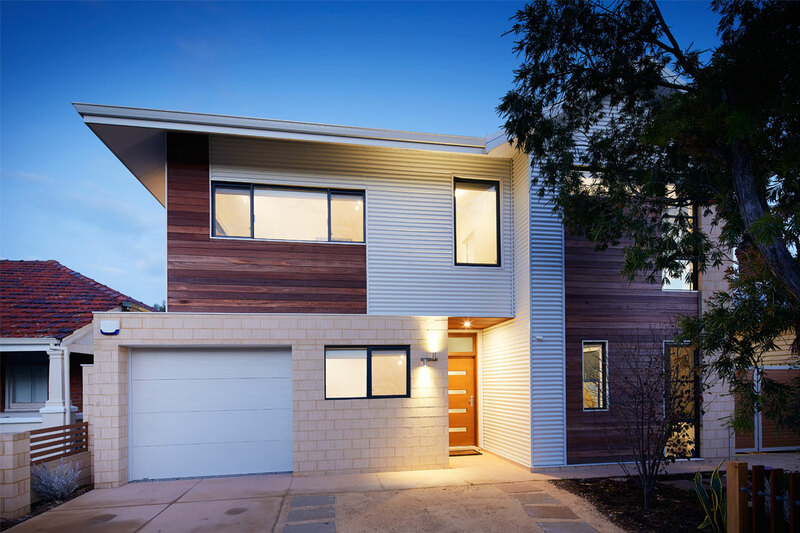 Solar Dwellings utilised multi-functional and multi-generational design principles to ensure the long-term liveability of this home to suit the changing needs of the family. The water-wise, photovoltaic panels, and batteries combine to future proof the home. Every detail of the design and construction process was taken into account to produce as little waste as possible; this even included the demolition of the original house, where 97 per cent of its materials were either reused or recycled. Indoor trees and plants within the structure improve air quality and provide a harmonious connection to the outdoors. 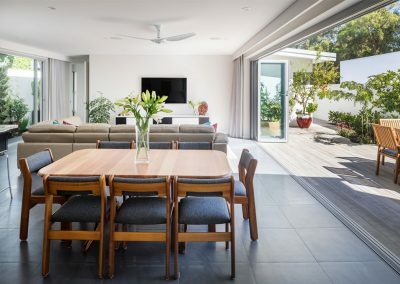 The polished concrete flooring and the strategic placement of walls and windows keep the building warm in winter and capture the breeze to cool the home in summer. All products used during construction were selected to ensure optimum organic breakdown and end-of-life reusability. 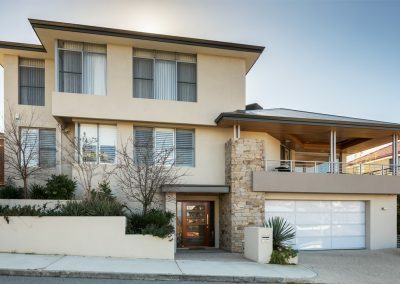 This dedication to green living has earned the property several awards at both state and national levels, including the Housing Industry Association’s (HIA) GreenSmart Energy and Water Efficiency Awards, as well as the Master Builders’ Excellence in Energy Efficiency and Best Waterwise Home awards. 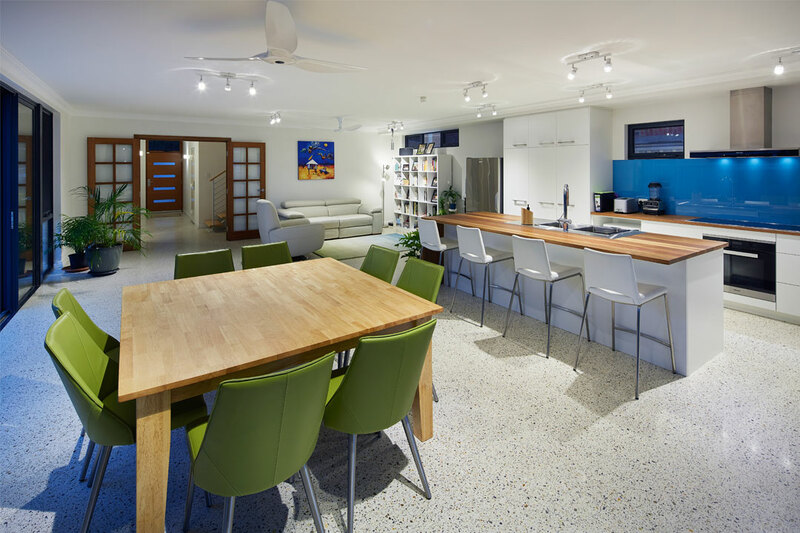 Specialising in the design of modern, climate-sensitive and passive-solar smart homes, Solar Dwellings provides a variety of sustainable living solutions and offers a complete ‘design and construct’ service to its clients. 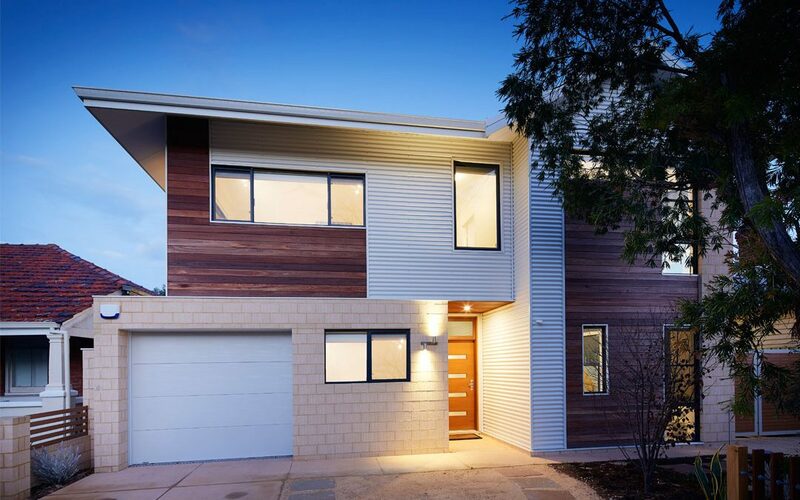 The company can also recommend building materials with low embodied energy and minimal environmental impact, which gives you peace of mind that your new home will be eco-friendly from the construction stage onwards. 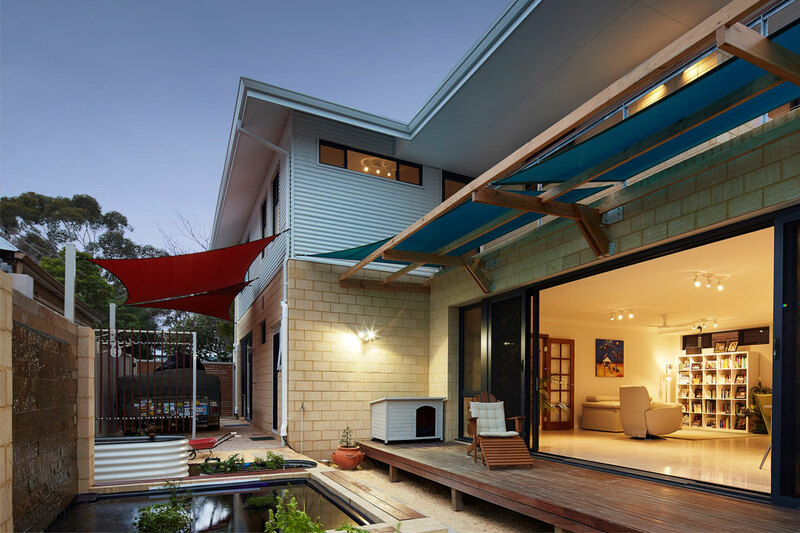 Established in 1991 by Griff Morris, Solar Dwellings is one of Western Australia’s leading companies in passive solar design. Over the years, the company has won more than 80 awards for its sustainable homes and talented designers. By choosing a Solar Dwellings home, you will not only make a difference to the environment, but also reduce your greenhouse gas emissions and carbon footprint, as well as save on heating, water and air-conditioning costs. For a more sustainable future, contact Solar Dwellings today!